Add this code to your functions.php file. Make sure to replace YOUR-MENU-ITEM-ID with your own menu item ID number. Chargebee is a subscription management service that lets you easily take payments for subscription plans you sell on your site. The Chargebee self-service portal allows your customers to login, upgrade their subscription and change their payment information. However, it can be tricky to integrate the Chargebee self-service portal with your WordPress site as the Chargebee plugin is no longer updated. 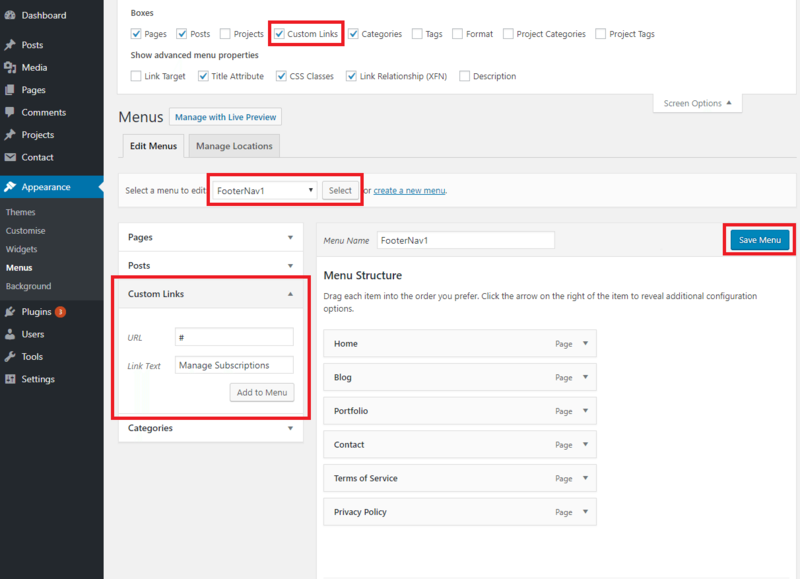 To get the self-service portal link working in a WordPress header menu, footer menu or widget menu you will need to use a little-known WordPress filter called “Nav Menu Link Attributes” by following the steps below. Log in to your Chargebee dashboard at https://YOURUSERNAME.chargebee.com/dashboards and head to Settings > Configure Chargebee. Scroll down to the “Customer-facing essentials” section and click on “Checkout & Self-Serve Portal” then click on “<> INTEGRATE WITH CHARGEBEE”. If you want to set up a normal hypertext link you can just copy and paste the “Portal Button Code” into your WordPress editor. If you want to add the link to a menu carry on with the steps below. Make sure you have included the correct Header script in your WordPress theme. The test version of Chargebee uses a slightly different script to the live version so make sure you use the correct one when you are ready to go live with your subscription plans. 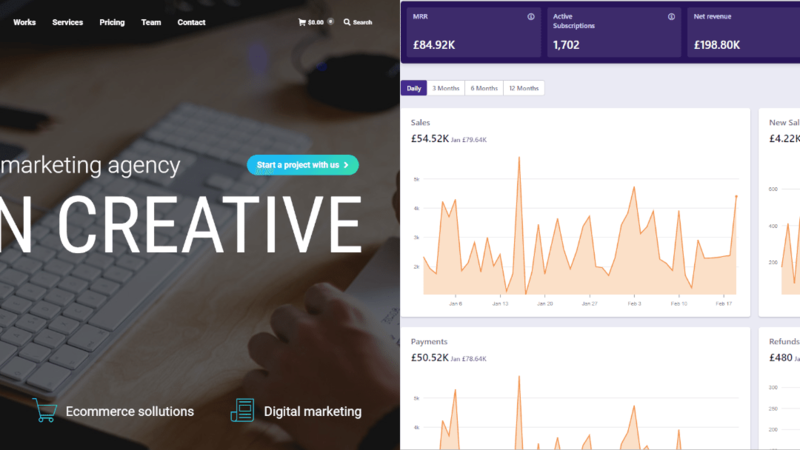 In Divi you can do this by copying the correct Header script and going to your WordPress dashboard > Divi > Theme Options > Integration. 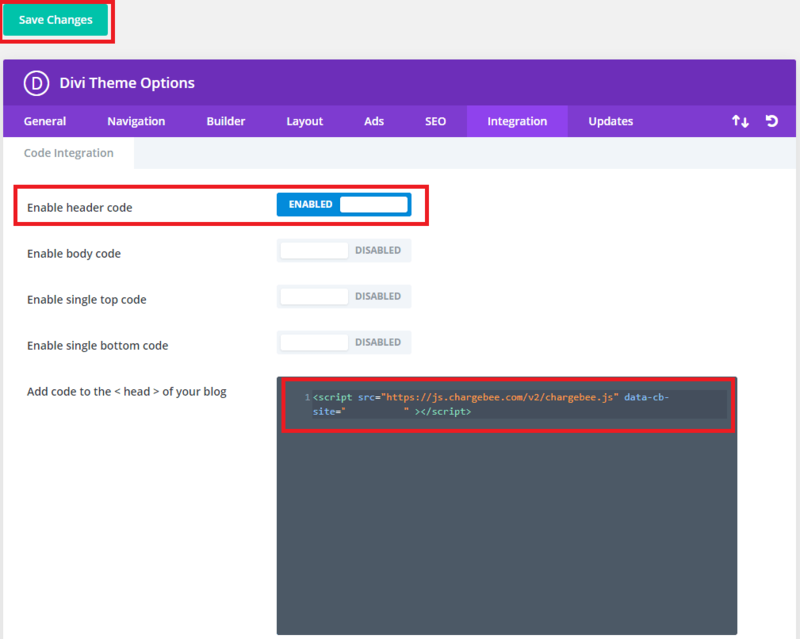 Copy the Chargebee Header script into the “Add code to the <head> of your blog” box, click on the “Enable header code” switch and then save changes. In your WordPress dashboard go to Appearance > Menus. Select the menu you want to edit in the dropdown menu and add a “Custom Link” with the URL set as a hash symbol “#”, the link text to whatever you want it to be like “Manage Subscriptions”, and then click “Add to Menu”. If you can not find the “Custom Link” section scroll to the top of the page, click “Screen Options” and make sure there is a tick next to “Custom Links”. Do not forget to “Save Menu” when you are finished. After you have added the link to your menu it should appear live on your set although nothing will happen when you click on it as you need to find the menu item ID number before you can set up the portal link. Right click on the menu item you just added and click “Inspect” or “Inspect Element” on the pop-up menu. This will open the developer console on your browser which will show you the ID of the new menu item. As you can see in the image below my menu item ID is 2394 but yours will be a different number. Write that number down as you will need it for the next step. For this step you will need to find your functions.php file. You can either do this via your WordPress dashboard or by logging into your hosting cPanel account. 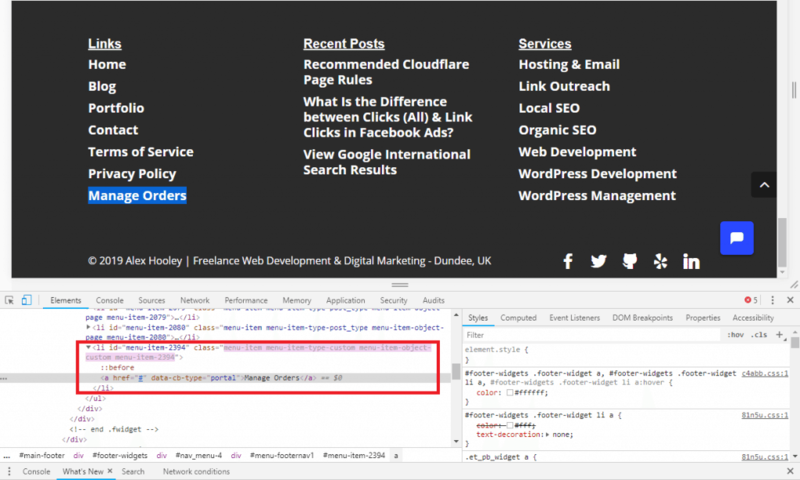 To do it via your WordPress dashboard install a plugin called WP File Manager. Click on WP File Manager and head to wp-content > themes and open the child theme folder. Create a backup copy of your functions.php file by right clicking on it and selecting “Download”. Once the backup has downloaded right click on the functions.php and click “Edit”. 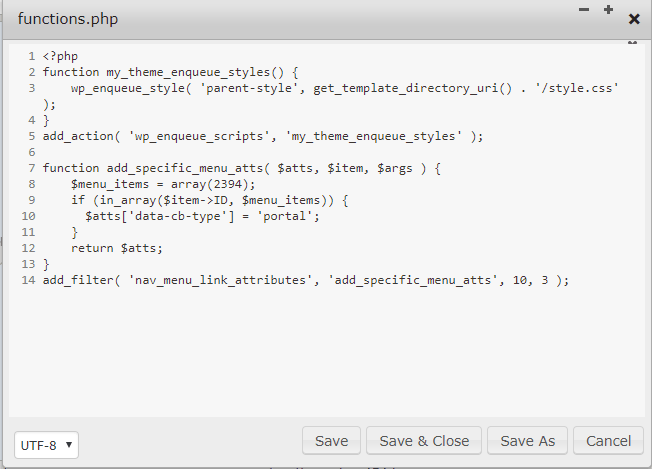 At the very bottom of the functions.php file you need to post the following piece of code. IMPORTANT: Do not forget to replace the “YOUR-MENU-ITEM-ID” with the number you got step 5. Now click save and close the functions.php file. Head to your website and now when you click on the new menu item you added it should activate the Chargebee self-serve portal! If it does not work double check you have used the correct item ID from step 5. If the code breaks your menu, delete the code you added and try again or use the backup functions.php file you created. Here is my Divi child themes functions.php after adding the code. If you get stuck leave a comment below!